We have workstations set up, and everything you need right at hand, including encouragement and guidance! I am there the whole time and will gladly discuss the project and get you on your way to planting and walking and nurturing. 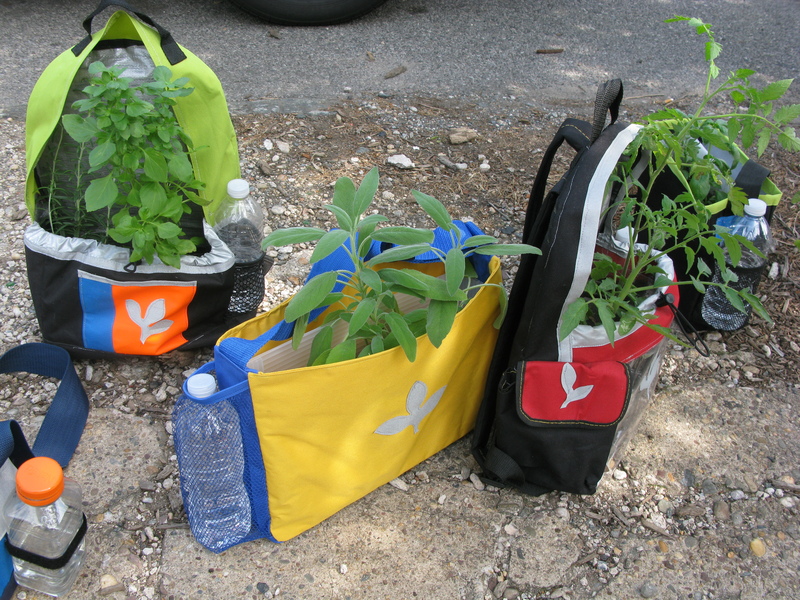 Everyone with a bag will be invited to participate in the field day at the Dig In! garden on the 11th. Hours this week of May 6-10 are 1-5 p.m. so come on by and see what Germination Corps. is all about! There are short activities if you have 5 minutes, to longer full bag making activities. We want to get as many people involved, adults and children, so tell your friends.